Billy Joel is tireless. 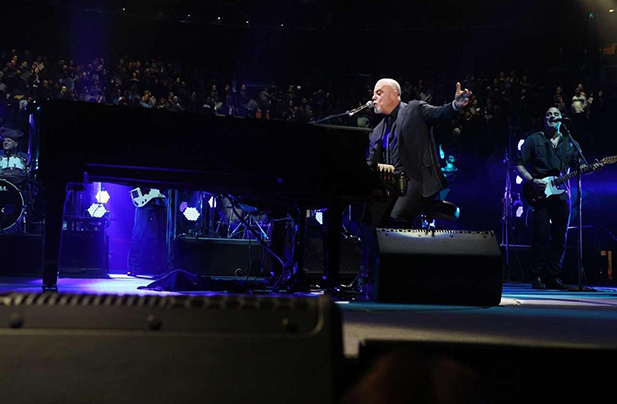 At age 68, the indefatigable Piano Man continues setting records as today he announced his 56th Madison Square Garden show for September as part of his monthly residency which began in January 2014 and has sold more than a million tickets. This comes on top of his unprecedented stadium tour in which for the fifth-consecutive year he will play Boston’s Fenway Park, Chicago’s Wrigley Field and Citizens Bank Park in Philadelphia. … As part of his summer/fall stadium tour, on Sept. 21 Joel will be the first artist in 39 years to play Kansas City’s Kauffman Stadium. He’ll also be hitting international stadiums, including Manchester, England’s Old Trafford, on June 15, Dublin’s Aviva on June 23 and Hamburg’s Voksparstadion on June 30 before heading back to the states.